The current trend of medical technology emphasizes the use of mobile applications since they are quick, non-invasive and maintains a certain amount of accuracy. From glucose monitoring instruments to fitness trackers, every tiny bit of an ultra-tech gadget now comes equipped with a smartphone. Well, that's the present day demand. As it seems, the availability of smartphones has revolutionized the concept of medical technology. 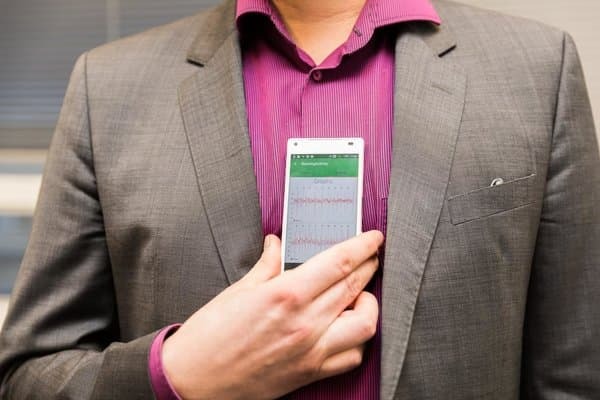 Based on the same principle, the University of Turku, Finland has come up with an application that detects atrial fibrillation, the key element responsible for strokes. According to the team, it is a life-saving application as a timely diagnosis is imperative to stroke prevention. The university joined hands with the Heart Centre of the Turku University Hospital and carried out a statistical analysis where they examined 300 patients with heart problems and half of them with atrial fibrillation. The smartphone application could detect patients with atrial fibrillation with 96% accuracy and the number of false alerts was very low. When commenting on the system's effective result, Project Manager Tero Koivisto of the Department of Future Technologies of the University of Turku mentioned that they created a blind study which means they received only measurement data for analysis and no extra information regarding the patients. The group was a diverse group of patients including heart failure, coronary disease, and ventricular extrasystole. Once the test was done, it was further sent to the hospital for a detailed verification. The current application is of paramount importance. The development was not a single day magic but took 7 long years to be perfected. Back in 2011, the idea was first generated from a discussion between researchers at the University of Turku and cardiologists of Turku University Hospital. They were searching if atrial fibrillation can be detected from the micromovements in the chest with the help of small accelerometers. Since most smartphones possess accelerometer, it could work as a standalone device to sense atrial fibrillation in users. As per Juhani Airaksinen, Chief Physician and Professor of Cardiology, from Turku University Hospital, this research has successfully used a consumer electronic device and received highly reliable results. This carries a significance as conventional tests also fail to detect intermittent atrial fibrillation. This means, the latest application will not only be cheap but also will accurately direct patients in the right direction without any further test. As far as commercialization of the application is concerned, the CEO of Precordior Ltd Tuomas Valtonen has shown his interest towards this project and already negotiated with investors from Silicon Valley and East Asia. The research has been published in the Circulation journal.